Out of all the seven emirates of the United Arab Emirates, Ajman is quite a tiny one. However, for a tourist who loves exploring culture and history, it’s a solid package in a small packet. Ajman offers some really interesting activities that contribute to a relaxing, fun-filled sunny holiday. You can certainly visit here with your family because the shoreline is among some of the best within the country that has long strips of white sand beaches – surprisingly lesser crowded than you would imagine. If you prefer excursions rather than just lazing in the sun, the Al-Dur Archeological Site and Ajman Show Building Yard have a lot in store for you. 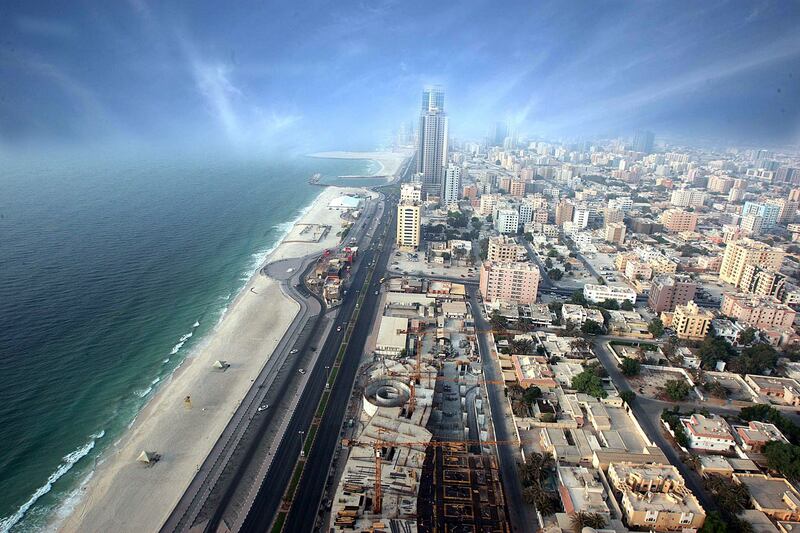 In a nutshell, Ajman is a little unusual yet wonderful vacation destination across the UAE. 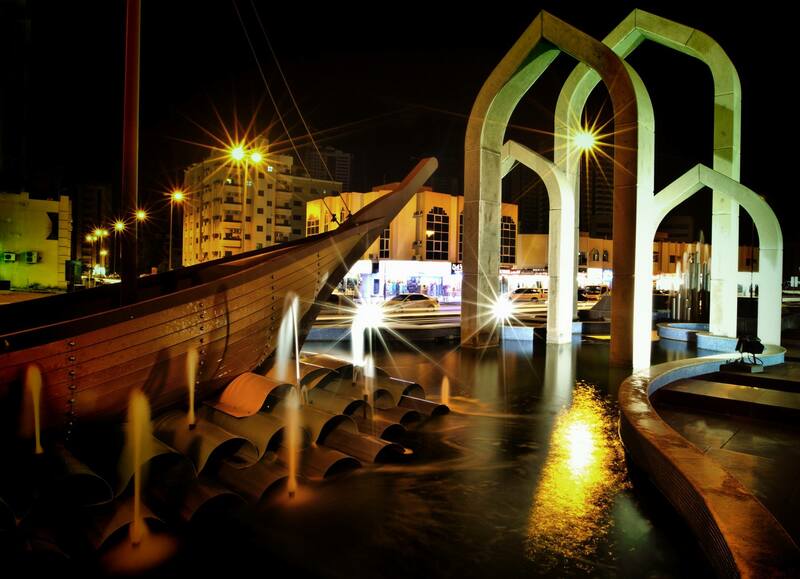 Take a quick look at the best tourist attractions in Ajman. 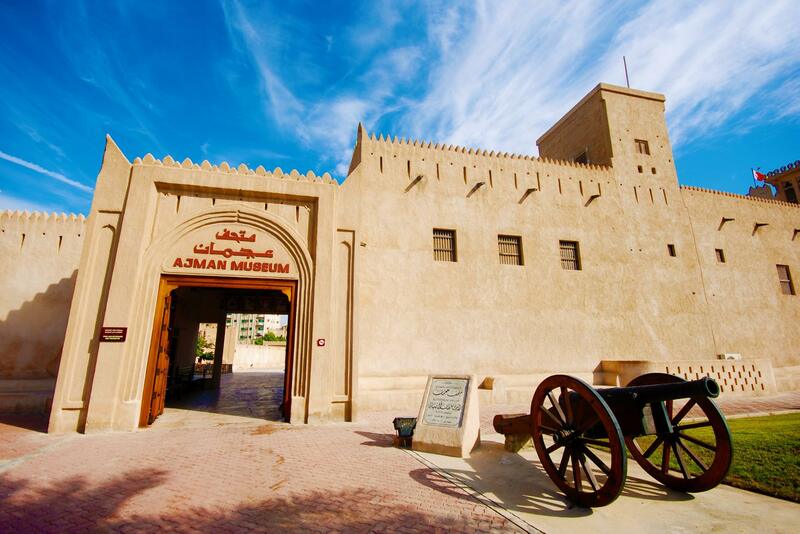 This museum, a popular 18th century fortress, was once the first line of defense of Ajman. Looking at the exhibits in this museum, you can experience the feel of traditional local lifestyle through miniature models of the daily life. Moreover, the museum also displays interesting archeological findings from nearby sites, manuscript exhibits, and Emirati weapons. Being the town’s primary fortress, it had been used as the palace of rulers and the prime location of the city’s police station. Visitors love watching the grand gateway with two cannons, two watch towers, and two wind towers. To the North of the Ajman Creek, the Ajman Dhow Building Yard is remarkably known as world’s largest dhow building centre. 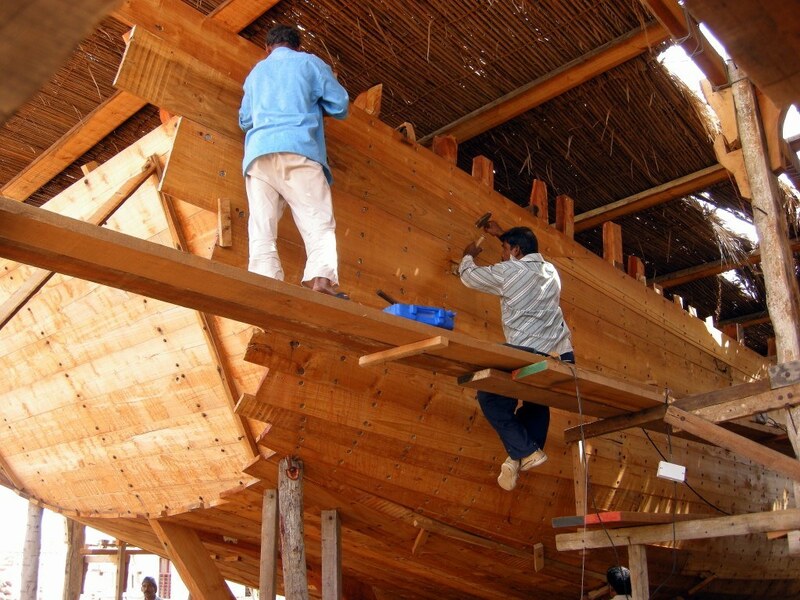 Beautiful dhows that are constructed by traditional tools and skills without any blueprint have beautifully passed on to generations. If ancient boats and craft interest you, you must visit the Ajman Dhow Building Yard! 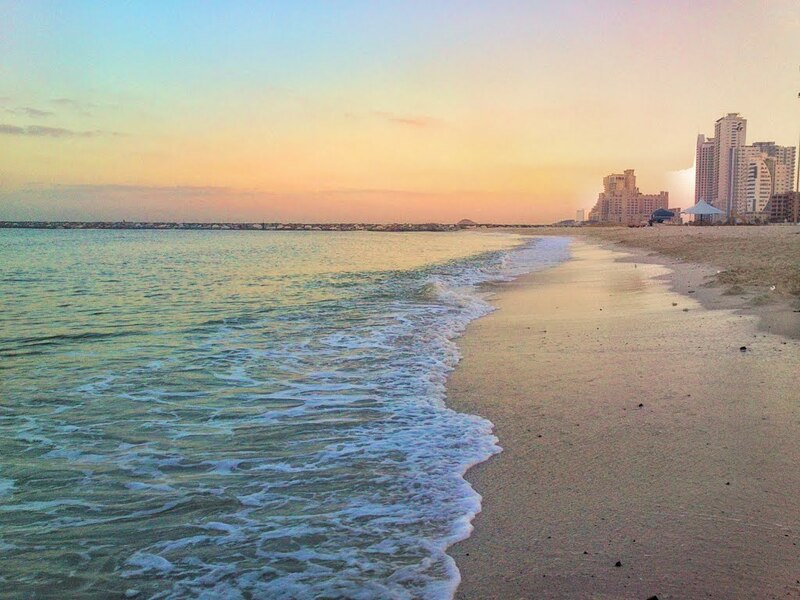 Ajman’s beaches are one of their own kinds. The coastline is wonderfully outlined by hundreds of luxury hotels. Each of the hotels has its own private white sand pristine beach offering you a tranquil feel. Popular for a few prettiest beaches across the UAE, beaches in and around Ajman offer sheer relaxation throughout your vacation. Just pay the fees for a day-pass and you can enjoy all the beaches facilities. Nothing can beat Ajman’s beaches when it comes to sun lounging. The Mowaihat is an archaeological site that’s located along the outskirts of the city of Ajman. It was discovered long back in 1986 when a crew of archeological workers was carrying out the project of laying sewage pipe. A circular bomb – Umm al-Nar was uncovered followed by a rescue excavation. Furthermore, hundreds of painted, soft-stoned ceramic vessels were discovered along with copper implements, more than 3000 beads, two stamp seals, several people’s remnants. The first evidence of al-Nar occupation in the Northern Emirates was the Mowaihat Tomb Umm. To archeology fanatics traveling to Ajman, Mowaihat is a must visit site. Umm Al-Quwain Forts had once been a guarding structure for the grand entrance to the old town. By overseeing the sea and the creek, the exterior of the fort boasted of its two round towers. It has been very well restored and currently is home to the town museum that introduces you to incredible findings from Al-Dur on local archaeological sites. Some ethnographic exhibits might fascinate you with interesting customs of local life and traditional customs. Take a quick drive from Umm Al-Quwain to discover the ever beautiful Seneyah Island. This serene nature sanctuary has several Al Qaram trees grown everywhere and deer as well as various bird species. A lovely escape from the city hustles; this is one of the favorites among Ajman visitors, simply because of its nearby location to Dubai. Typically meant for lazy travelers, Ajman is a relatively sleepy place compared to other Emirati cities. Set along the Ajman Creek dividing the city in two, it has a charming promenade around the shore-side. Peeking out at one of the finest white sand beaches, the town provides an evidence of being a significant settlement from the Bronze Age through its archeological findings. The mountain villages of Manama, a small fort, and a colorful marble destination – Masfut, the city makes a wonderful attraction. This is another archaeological site that’s absolutely famous among tourists. With amazing remains of an old town, this site was once an important destination in Ajman as a town tracing back around 2,000 years. You can observe stone houses, tombs, storage jars, and large glassware from Syria and Egypt, which are uncovered at Al-Dur. This site is sprawling and covers a large area. Several dwellings have been constructed from the blocks of beach rocks and thousands of graves have been found out. Al-Dur also has two very famous public monuments – a small square temple that’s dedicated to the solat deity Shams and a small square fort with round towers on the corners. Dreamland Aqua Park is a super spacious entertainment complex that involves more than 25 tourist attractions. 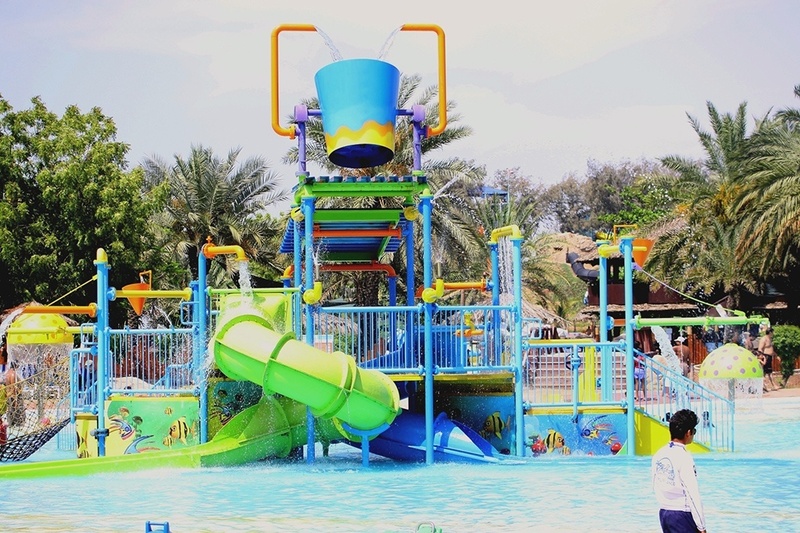 A family vacation to Ajman cannot be completed without taking your kids here! Aquatic theme rides for swimming lovers, wading pools for children, crazy river rides, kamikaze rides, twisters, and a giant wave pool – this place offers you a lot enjoy! If you’re on a summer holiday, Dreamland Aqua Park offers you a perfect rescue from the scorching sun. Moreover, there are shaded palm gardens that cover the rim of the entire area that’s surrounded by attractive wild animal replicas to fascinate kids. Ajman is unlike other emirate, where you do not find 101 things to do in Dubai or desert adventure activities like Abu Dhabi, still it becomes one of the most loving emirates, why? Because it takes you to the rich cultural & heritage tour & attractions that are certainly not to be given a miss! With so much unusual to offer you on a vacation, doesn’t Ajman become a fantastic destination for your next trip? Neha is a writer by choice, wanderer by passion, she’s a dreamer, wanderer and crazy animal lover. When this travel fanatic is not found penning some travel stories, she is busy going crazy with her lovely pets.